A long, hard run is in the books and now it’s time to reward yourself. A nice, hot shower will hit the spot … or better yet – a long soak in the hot tub. You deserve it! Does this inner dialogue sound familiar? But just how rational is that “rational inner voice” when in comes to the efficacy of cold versus hot water therapy? We’ve all heard the conventional advice to ice sore or injured muscles to reduce inflammation and promote recovery. Yet there’s growing evidence that cold therapy may interfere with otherwise beneficial adaptations and healing processes. Both medical professionals and the running community are strongly polarized on the debate, each holding distinct, yet justifiable convictions that regular icing, heat application, or alternating hot-cold therapy will ensure a rapid post-workout recovery. Thanks to a recent paper by Nathan Versey and colleagues, we can stop speculating (or at least make slightly more informed decisions; read on for the gaping holes of uncertainty). In their recent review, the Australian researchers analyzed prior studies examining the efficacy of hot, cold, neutral and mixed water immersion therapy on athletic recovery and performance. The meta-analysis was no easy task, given the highly variable treatment protocols, athlete populations and outcome measures employed across studies. Yet the authors did an exceptional job synthesizing the common findings and discrepant reports to highlight both the reliable evidence and open questions. Water therapy is thought to promote recovery by increasing blood flow, flushing out metabolic waste and reducing swelling via hydrostatic pressure. However, the efficacy of the therapy also depends on various other factors, such as water temperature, timing and duration, as well as the athlete’s body composition and performance environment. Despite some inconsistencies across studies, cold water immersion was found to reduce impairments in both running distance and cycling time-trial performance. Although no ideal water temperature was consistently observed, protocols incorporating temperatures in the range of 5-15°C were most effective. In contrast, there is limited evidence that hot water immersion (above 36°C) aids in recovery, beyond preliminary hints that it improves squat force or jumping power. Interestingly, even thermoneutral (neither hot nor cold) water immersion imparted some recovery benefits; however, the active recovery protocols used in most of these studies made it challenging to dissociate effects of exercise from those of water immersion. So, cold water immersion may be advantageous, but the evidence supporting hot or neutral therapies is weak. What about combining treatments? Contrast water protocols, which involve short alternating cold and hot therapies, worked to prevent cumulative fatigue from multiple training sessions. 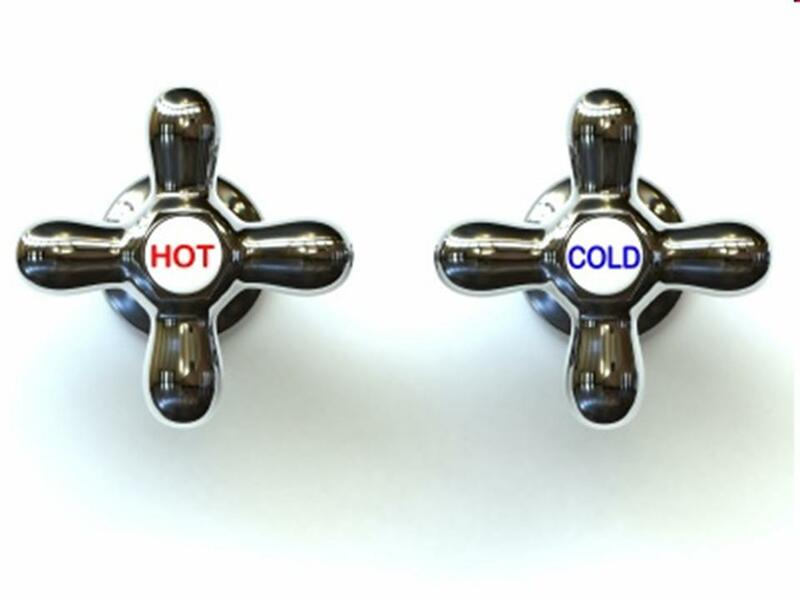 But the authors suggest that a greater cold-to-hot water ratio might be more effective, raising questions over whether the benefit is simply due to the cold immersion, rather than alternation per se. Fine. So maybe there’s a bit of truth behind the “ice bath propaganda”. But when, and for just how long, must we suffer such torture? The good news is that frost bite and blue toes aren’t necessary to reap said benefits. The recommended duration for cold water treatments was under 15 minutes, and for alternating cold / hot therapies, a meager one to two minutes each temperature cycle. Furthermore, treatments immediately after working out, when a cold dip might even sound refreshingly appealing, seemed more effective than delayed treatments. Before jumping into that ice bath, however, remember that no prescription is ever one size fits all athletes, or all situations. For instance, the authors point out that although post-exercise cold therapy may be a promising recovery tool, pre-workout cooling is likely counter-productive. Recall your coach’s insistence on a good warm up before a hard run. This is because increased blood flow enhances muscle performance, which would be hindered by extreme cooling. Of course, if you’re running through the Sahara under the scorching sun, your blood will certainly have sufficient flow and a cool dip would be a fantastic way to prevent overheating. We need not only apply common sense regarding our external environment, but also our internal environment. Body temperature and blood flow depend on body composition, increasing with higher body fat content. So whereas a standard cooling protocol may be ideal for many, it may be too aggressive for Mr. Skin N. Bones. Given such an extensive review, one would expect some consensus as to the most effective water immersion therapy. But with great dissatisfaction, we discover the final conclusion that more research is warranted (apparently 214 published studies are insufficient) to 1) justify the use of water immersion for recovery, and further, 2) tease apart precisely how water immersion protocols should be adapted for distinct exercise conditions. Although the evidence strongly favors cold and contrast water immersion, the authors highlight several important caveats. First, it’s unknown how any short-term benefits translate to facilitation or impairment of long-term training adaptations. Furthermore, findings were inconclusive over the optimal temperature (if one exists at all), or whether showers confer similar benefits without the water pressure of full immersion. Perhaps most critically, it remains to be seen how treatments generalize across exercise types and recovery goals. Maybe an intense cold water immersion regimen is ideal for minimizing muscle damage after hard strength training, but is it similarly effective against systemic fatigue following endurance running or cycling? So if you can bear it, go ahead and take the frigid plunge. It probably won’t hurt (except of course the part that’s painful as hell) and might even aid recovery. Tags: cold therapy, exercise recovery, heat therapy, muscle recovery, research, sports science, water immersion. Bookmark the permalink. Pingback: Paddle Healthy: Top Five Fall Fitness Trends | XBOARD | O maior portal de boardsports do Brasil.